Lunavada: The forest department today said that the pug mark of the wild beast found in and around Signali forest in Mahisagar district where a tiger was found last month was not that of a tigress/tiger but of a leopard. 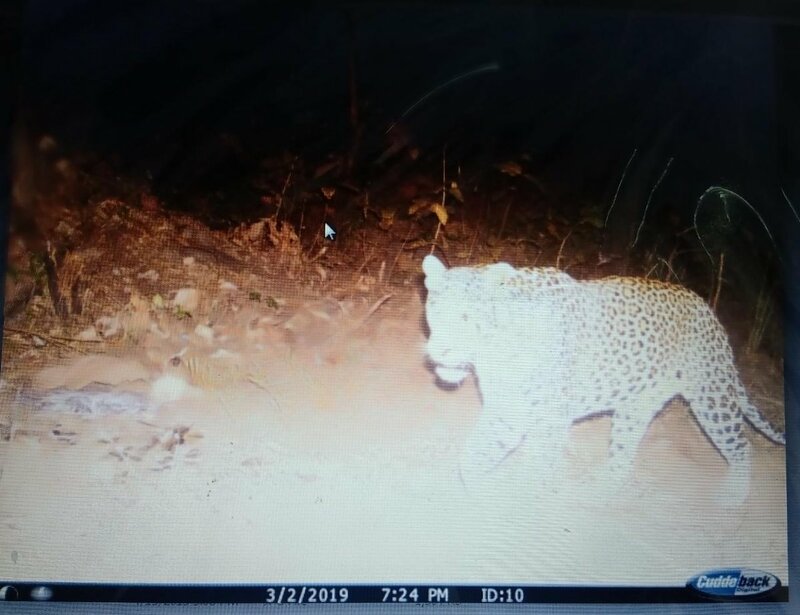 DCF Mahisagar R M Parmar and RFO R B Patel today said that the night vision cameras installed in the area have also captured the pictures of a full grown leopard. ‘The villagers in Kantar and other nearby areas had claimed that it was that of a tigress and her cub but they could not give any picture or any other proof of it. Our team searched the whole area in 60 km distance from Kantar to Santrampur but the pug marks found were that of a leopard and not of tigress or tiger. Also we did not find any droppings (stool) of tiger or any instance of a kill by any such beast,’ Patel said. Parmar said that the pug mark was around 10 cm in length but that of a tiger was normally 17 to 18 cm. It has been found at various places including behind a local hotel where the beast must have gone to drink water. ‘It is now confirmed that there was not tigress in the area. It is a leopard,’ he said. Patel said that as the soil in the area was sandy the pug mark had spread a bit. Notably, the sole tiger traced recently in Gujarat after almost 3 decades found dead in the same area on February 26. Though it was said that the tiger had died of starvation there still was mystery of sort about its death. The around seven to eight year old tiger was first ever confirmed presence of tiger in Gujarat after around 3 decades. It was after 1992 that a tiger was seen in Gujarat. Almost 26 years ago it was seen in Dangs area of South Gujarat. It was understood that it had entered in Gujarat from Madhya Pradesh, Mahrashtra or Rajasthan as tigers were present in the forests of all the three neighboring states. Patel today said that 10 night vision cameras were still installed in the forests to track the activities of wild beasts. Notably, the teacher in Goriya area of the district Mukesh Mehra had taken picture of this tiger near Gadh forest around 20 to 25 km from here in the bordering area of neighbouring Panchmahal district on February 6. He had handed it over to the forest department for further verification.